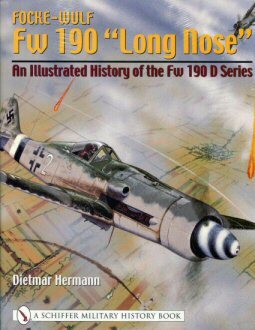 Military History Books, FOCKE-WULF FW 190 "LONG NOSE",Dietmar Hermann,Schiffer,ISBN�0764318764,Fw 190C,Fw 190D,Ta 152,Ta 153, THE HEAVY FLAK GUNS 1933-1945,Werner Muller,Schiffer,ISBN�9780887402630, HANDLING THE BIG JETS: THIRD EDITION,D. 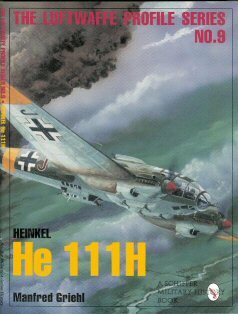 P. Davies,UK Civil Aviation Authority, LUFTWAFFE PROFILE NUMBER 9: HEINKEL HE111H,Manfred Griehl,Schiffer,ISBN�0764301659, AIRBRUSHING AND WEATHERING TECHNIQUES,Rob Ferreira,Acrylicos Vallejo,ISBN�9788460860051. An illustrated history of the FW 190D Series covering the development of those variants of the Fw 190 powered by inline engines. Production of the Fw 190C, D and the Ta 153 was delayed by the German air ministry, and not until 1944 did the Fw 190D-9, powered by the Jumo 213A, enter production. It was an immediate success and quickly entered Luftwaffe service with more than 1,700 examples being completed by the end of the war. The D-9 gave rise to a number of improved variants with the more powerful Jumo 213F engine and heavier armament, however only a handful of the D-11 and D-13 versions were completed. German Guns and Ballistic Directional Equipment: 88mm, 105mm, 128Mm, 150mm. 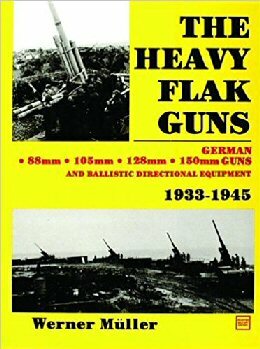 An extensively illustrated study of these weapons in service with the German Armed Forces during World War II. 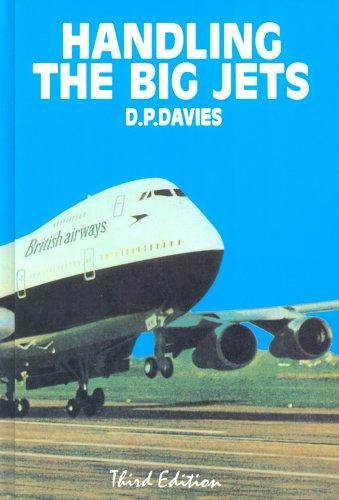 The previous owner of this book was a Boeing 747 pilot with British Airways. The book is a technical explanation of the significant differences in flying qualities between jet transport aeroplanes and the piston engined aeroplanes which preceded them, together with an examination of some other aspects of jet transport handling. Long considered a must read for aviation students, pilots and enthusiasts. This copy is in fine condition. Fine in rubbed/repaired d/w - 324pp. A study of the famous WWII Luftwaffe bomber. An invaluable modelling aid, the book contains 4 pages of colour side-view profiles, a 4 page centre colour gate-fold featuring upper and lower surface views, 12 pages of 1:72 scale drawings, and 90 black and white photos. 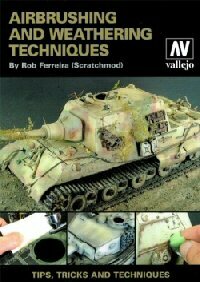 An invaluable aid to miltary modellers, this book covers the uses of acrylic colors, focussing mainly on Acrylicos Vallejo, who were the pioneers in this field. The author shares his vast experience in using acrylics and chapters include Air brushes and Airbrushing, Acrylic Surface Priming, Advanced Weathering Techniques, Decals and Varnishes, Diorama-Vignette Bases and Stone Textures and Creating Wet Effects. 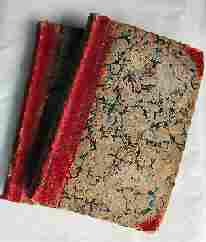 The book includes 8 pages of authentic colour charts.